Designed to produce the maximum of treated water by utilizing solar energy, our desalination plants are recognized for their efficiency and quality. 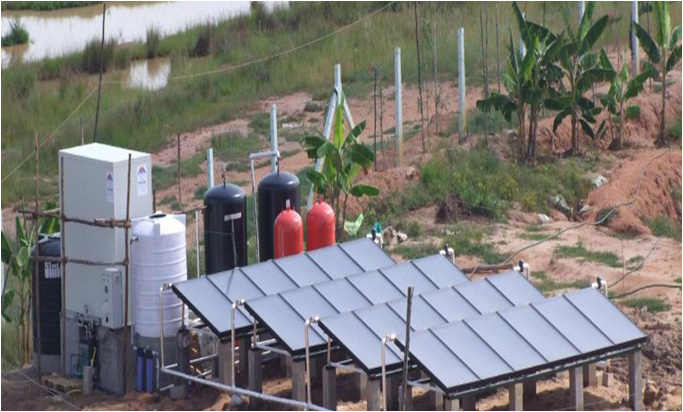 Hence, we are recognized as one of the leading Solar Desalination Companies in India. We use Solar Desalination Systems using TiNOX - MAGE MEH Desalination Method. Through continuous improvisation, we are committed to achieving reliable, world-class and cost-effective solar desalination solutions. We look forward to developing solar solutions in a scalable and replicable manner. The water produced through our MEH (Multi Humidification Effect) process is fresh water and fit for human consumption. Its chemical properties can be modified using minerals. Our patented technologies and world-class desalination technology make us a renowned Solar Desalination Companies in India .